Order in next 3 hours and 32 minutes for despatch today. 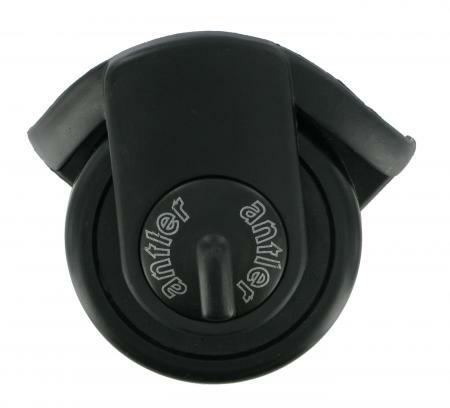 As an Antler repair agent, we are able to offer most Antler spares, this replacement trolley suitcase wheel is suitable for Antler's hard sided Quasar range. The wheel is available in black only as shown. Please note,the 6 digit suitcase number is usually on a label stitched into an inside seam. You should also note that Antler wheels may have a 1 week lead time.